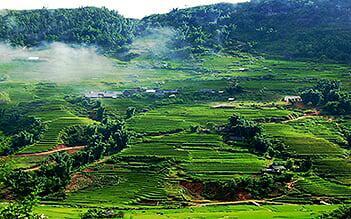 This spectacular trip offers the best discovery of Mai Chau and Pu Luong within just 2 days. 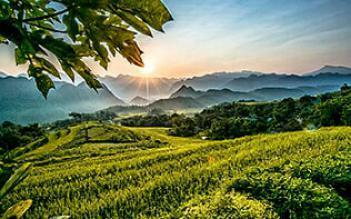 Mai Chau is the mountainous town of the Thai people. 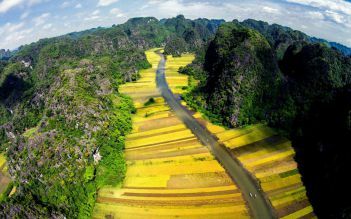 It is one of the most picturesque regions of Vietnam’s Northwest. 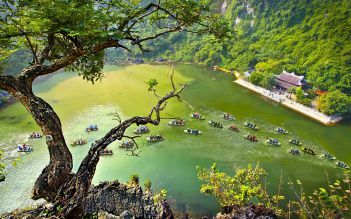 Nearby, the Pu Luong Nature Reserve is an area with outstanding beauty and biodiversity and worth exploring by foot. 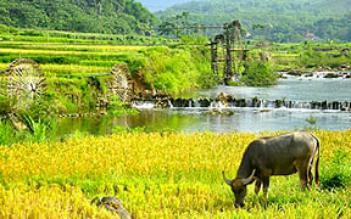 Depart from your Hanoi hotel at 8:00 am transferring to Mai Chau. Daydream as we drive a safe route with spectacular views around every bend. Upon arrival at Poom Coom village in Mai Chau, we will take a short walk to visit the ethnic Thai people, then lunch will be served at local home. 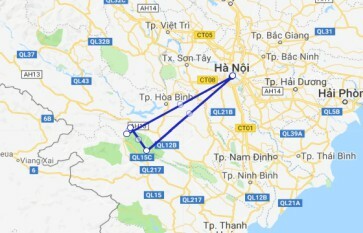 By 2:00 pm, transfer to Phuc Tan Village where we will take a a 2 to 3 hour walk through beautiful hill side villages, magnificent rice paddies to Hang Village. 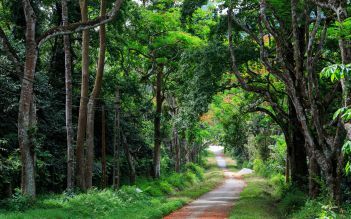 The highlight on this walk is experiencing the beauty of Pu luong Nature Reserve, the everyday life and culture of the white Thai people. Become a part of local life when we are welcomed as honored guests at a traditional Thai home on stilts. Here in Hang village we will have a traditional dinner and stay the night. The daily life here starts early, it will be interesting for you to get up at the first sign of day light and take part in the activities in the morning, or take a stroll around Hang village before having breakfast with our new Thai friends. At 8:00 am start a trek inside the Pu Luong Nature Reserve (back on some of the same routes) then onto the main road, after a 3 hour walk, the driver will pick us up and transfer to the Poom Coong village for lunch. We should leave Mai Chau at 2:30 pm and end the trip in Hanoi by around 6:00 pm. This tour itinerary and tour prices are subject to change without prior notice, please refer to our terms and condition before booking. Please travel responsibly, the small things you do will make a big difference! 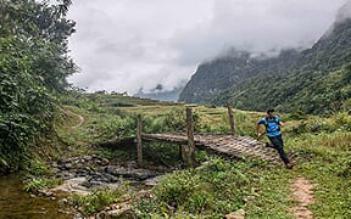 My fiancé and I visited Mai Chau and Pu Luong on a 2 day 1 night trip. We couldn’t have imagined the breathtaking scenery of the mountains and the local villages with their green patchwork of rice fields and terraces which we saw by bike ride and trek. The food and service we received in the places we visited and stayed were excellent. Our guide was knowledgable, enthusiastic and friendly and took care to made sure we enjoyed and were comfortable on our trip. Of the places that I’ve visited in Vietnam and Thailand, this I loved most and would recommend anyone visiting Vietnam to travel here. Agence of travel Very good trip. And the guide was very nice. I recommend. 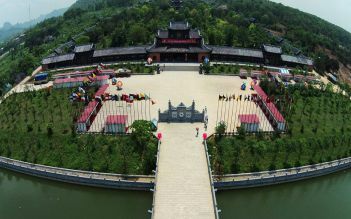 I has has can do a one day at mai Chau and one day at the pu long. And the homestay in Pu Luong was very beautiful.